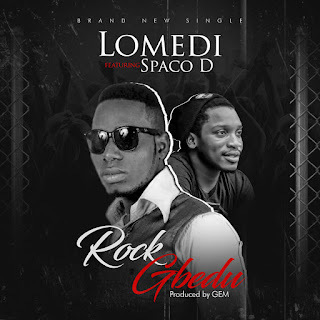 Mega Hit Zone is proud to present another new single from Lomedi featuring up and rising artist Spaco D. on this new single titled "Rock Gbedu". Lomedi delivers the beautiful kind of music we know him for, with energy and lovely lyrics. "Rock Gbedu" was produced by Gem On Da Beat. Connect with Lomedi on Twitter; @lomediboy. Listen and Enjoy!